The Fort Oglethorpe Thriving Communities team will hold a Community Art Event while enjoying vintage base ball on Barnhardt Circle’s Polo Field from 11:30 a.m.-2:30 p.m. on Saturday, May 5. The Thriving Communities volunteer team looks at Fort Oglethorpe’s history, arts and culture to plan events to enhance the quality of life and economic strength of the city. officials said. 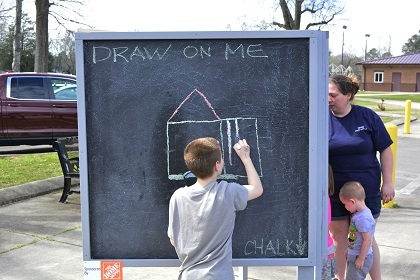 This is the second community art event organized by the Fort Oglethorpe team. In addition to hands-on art fun for the entire family, “Touch a Truck” with the city’s Fire and Police Departments will be part of the festivities. “Community art events give us the chance to test our ideas, see if people like what we’re working on and if we can turn that enthusiasm into public support,” said Nicole Hill, a Clinical Data Analytics consultant with Blue Cross Blue Shield of TN, who volunteers on the Thriving Communities team. "For those not familiar with vintage base ball, this is base ball played by rules, equipment, costume and culture of the 1860s. Think of it as living history through base ball. Players are all volunteers. The game, called a match, is played with wooden bats and no gloves. The players play for the sheer joy of playing and it shows. 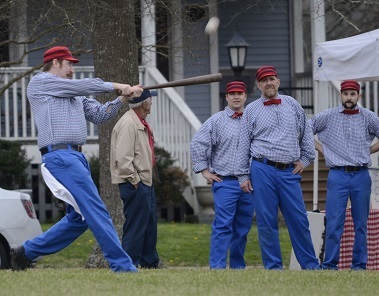 Vintage base ball is always free to attend and open to the public. Matches are played in open fields so there is no bleacher seating. Spectators are reminded to bring lawn chairs or blankets," officials said.